Given by Mr Walter L. Spiers, A.R.I.B.A. 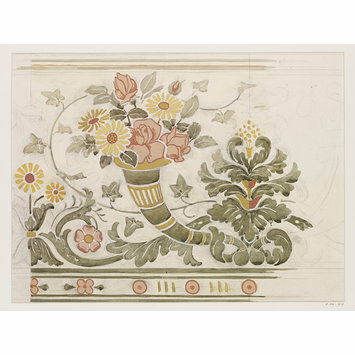 Original design for a wallpaper border, featuring ivy, acanthus leaves and a cornucopia of yellow daisies and pink roses, on a pale ground; Paper squared in pencil; Watercolour and pencil, on paper. 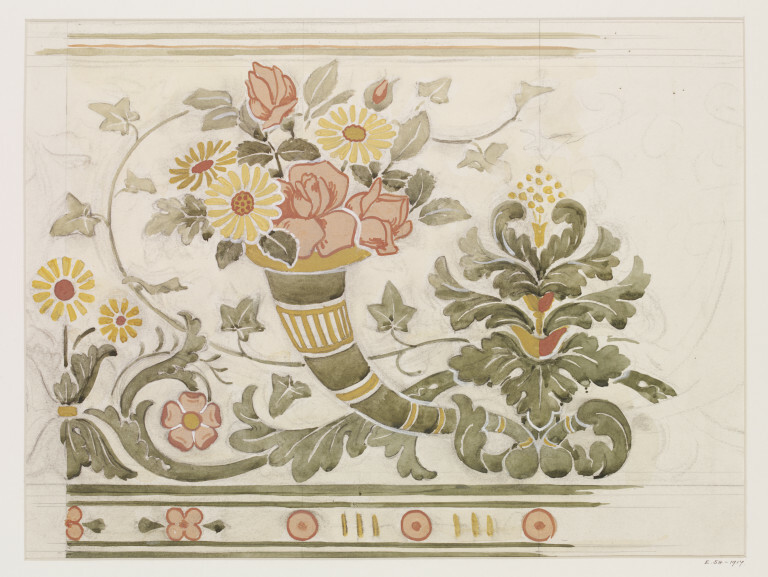 Original design for a wallpaper border, featuring ivy, acanthus leaves and a cornucopia of yellow daisies and pink roses, on a pale ground; Paper squared in pencil; Watercolour and pencil, on paper; By Charlotte Horne Spiers; England; Late 19th century.